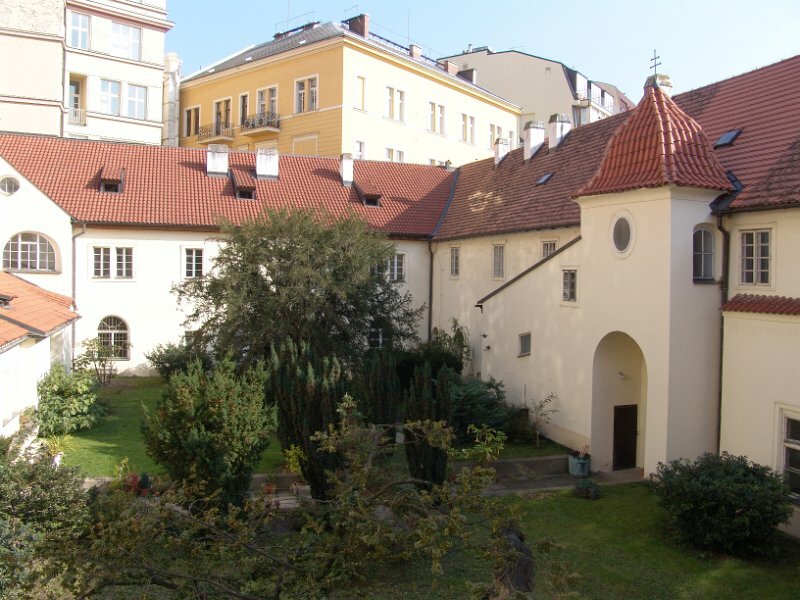 This church in New Town holds two records among Prague’s sacral buildings. The first is the height of its vaults - 34 m - and it was never even completed to its planned size! Its imposing appearance can be best viewed from the adjoining Franciscan Garden. The church also features the highest column altar in Prague. Church accessible daily 9 to 18 except the times of the masses. On the day after his coronation ceremony, Charles IV promoted a Carmelite monastery with a church that was to serve as a coronation church. 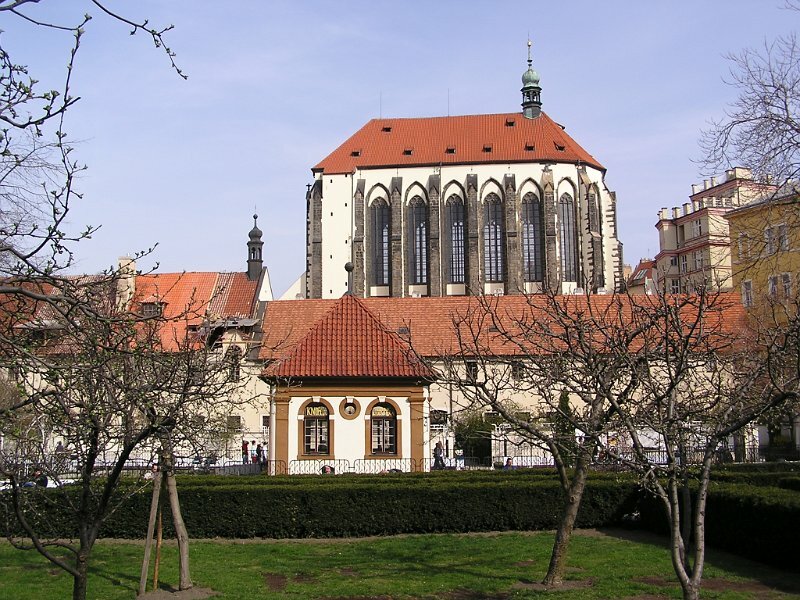 Given this importance, plans were made to construct a Gothic three-aisle church which would be second only to the cathedral at Prague Castle in terms of size and height and would also occupy part of what is now Jungmann Square (Jungmannovo náměstí). Peter Parler's workshop also took part in the construction. Work was interrupted by the Hussite Wars, and by 1397 only the high choir had been completed. Although it is incomplete, the Church of Our Lady of the Snows has the highest vault of all Prague's churches (34 metres). In the early 17th century, the Discalced Franciscans received the monastery and church from Emperor Rudolph II and quickly renewed construction. The Franciscans built a new Renaissance net vaulting, lowered the roof and on the western side and erected a high façade wall with a choir loft. Created by an unknown artist in 1649 - 1651, the Early Baroque main altar is the highest column altar in Prague (29 metres). The Annunciation of the Virgin altarpiece was painted by Wenzel Lorenz Reiner in 1724. 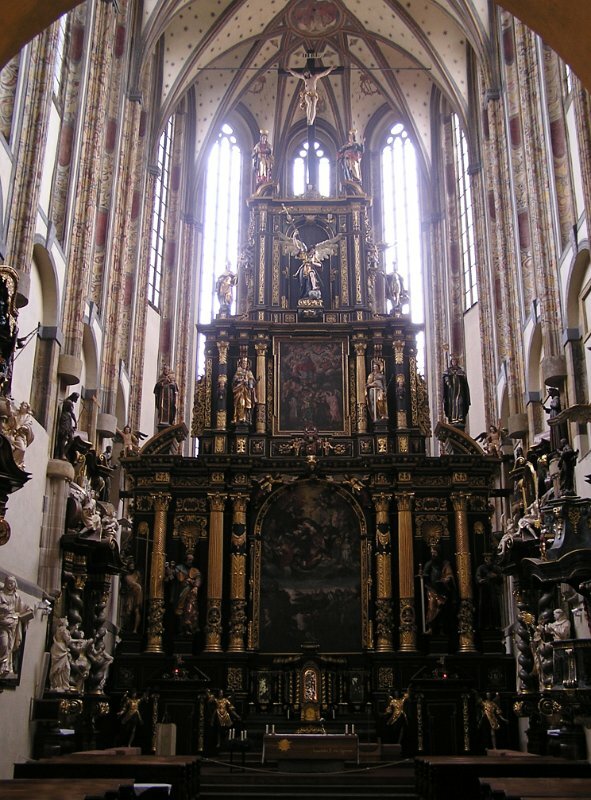 The St Catherine side altar is adorned with a painting of the saint by Georg Wilhelm Neunherz. On the northern side of the church, St Michael's chapel is remarkable for its Baroque altar; together with the adjacent Our Lady Help of Christians and St John of Nepomuk chapels, they enclose the courtyard in front of the church. 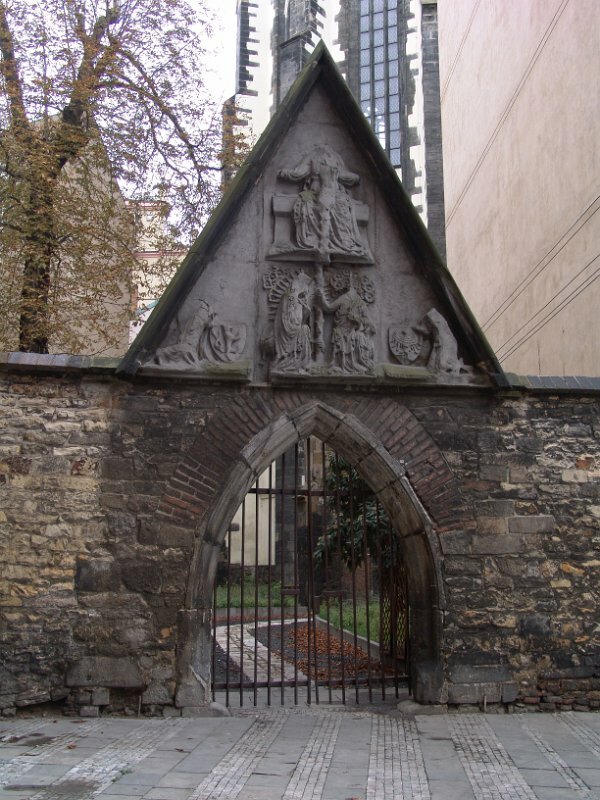 The north side also features a copy of the Gothic portal entrance to the former monastery cemetery, decorated with figures of the coronation of the Virgin Mary, Charles IV and his wife, Blanche.